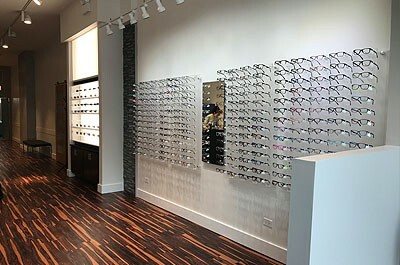 Since we opened our first location in 1930, Rosin Eyecare has been Chicago’s first choice for high-quality eye care. 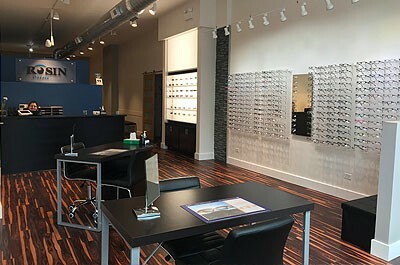 The city’s West Loop neighborhood is a highly-trafficked area and a sought-after place to live, and the community in this area of Chicago counts on the team at Rosin Eyecare to provide comprehensive eye exams, eyeglasses, contact lenses, and treatment of eye diseases. Our West Loop eye doctor is conveniently located just west of downtown Chicago, in an area rich with culture and history. We’re easy to reach from a larger area of the city due to our proximity to Chicago’s major thoroughfares, I-90 and I-290. Our eye clinic is also only a few blocks from Greektown, a part of the city known for its wide variety of restaurants and nightlife options. Being surrounded by so many businesses, Rosin Eyecare offers easy availability for not only local residents, but also for those who work in the area. Rosin Eyecare is proud to offer convenient eye care services that help you manage your eye health over the course of your life. From basic eye exams to fittings for glasses and contacts to imaging and diagnosis of a variety of eye conditions, our goal is to provide you with information and access to experts in every eye care discipline. From common eye care to LASIK, cataract surgery and more, contact Rosin Eyecare today at (312) 600-9998 to make an appointment.